Perfect anywhere you’d like to hide outlets when not in use and enjoy the additional capabilities of three plugs when they are. 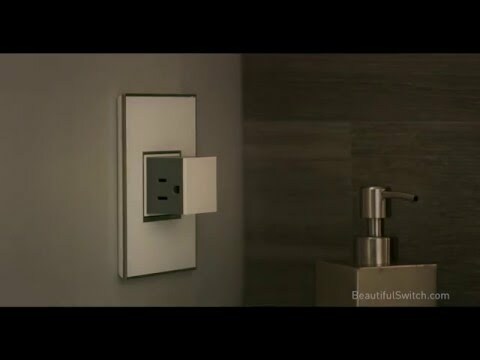 The adorne Pop-Out Outlet features three plugs for added power and disappears into the wall with a simple push when not needed. This 2-gang version allows for pairing with another adorne switch, dimmer or outlet. With a patented shutter system, plugs are tamper-resistant to keep children protected. This item is also available in a 1-Gang 15A or 1-Gang 20A option. Rated 5 out of 5 by GirleyGirl_50 from i love that my outlet doesnt show, it stays clean we remodeled our kitchen and upgraded all the outlets to pop outs. we love them. we also changed the light switches. our remodel now has that WOW facture.